EMT meets firefighter. EMT hates all firefighters, but this one is so hot. Hit the button and let the carousel of emotions begin. Conner Haus is an experienced EMT who has seen more than her fair share of tragedies. Her life was destroyed when her fiancé Kam, a Boston firefighter, was killed trying to save a child from a burning automobile three years ago. 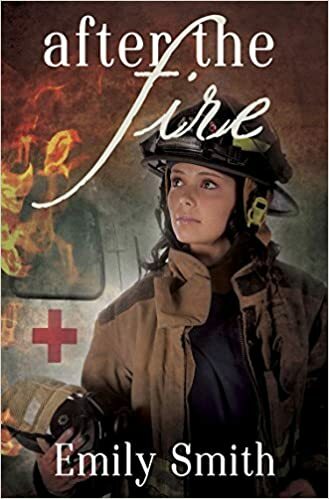 Since Kam’s death, Conner has become cold, distant and is hell bent on hating every firefighter she comes across, old friends included. Logan Curtis is a rookie. She was a paramedic for ten years, before entering into the fire academy. She loves the danger, the adrenaline rush and helping save lives. She is a hotshot, everything Conner wants no part of, everything like Kam used to be. Attraction be damned. This book isn’t bad, it just isn’t interesting either. In my opinion it lacks depth, and I had to really push to finish this book. I felt as if I was reading the same thing over and over. Kam is a huge part of the book. Her ghost (not literally) haunts everyday of Conner’s life. I am in no way trivializing losing a spouse, I cannot even begin to imagine the pain, but I had to think Conner is not by any means ready to date again. She is horrible to Logan for 30+% of the book. Then boom, she’s hot, so let’s hookup, then back to bitchy mode. I just couldn’t understand the attraction these two had for each other, it seemed forced and superficial. I just wasn’t feeling the love between Conner & Logan. Not bad, just not great.